For thousands of years, Chaga has been used to strengthen the immune system, detoxify the body and to extend the span of life. Chaga is native to northern Canada and typically grows on the trunks of birch trees. The Chaga is a symbiotic mushroom that grows between the bark and the hardwood for several years prior to breaking through the hardwood for several years prior to breaking through the hard outer surface, and can take twenty years to reach maturity. Chaga is treasured and prized throughout the word and over harvesting has depleted Chaga supplies in both China and Russia. This is why we stand so strongly behind protecting this valuable resource here in Northern Ontario, by sustainable harvesting & educating the public to promote the re-growth of wild Chaga. When harvested properly Chaga can be an on-going resource for decades to come! Chaga is a very potent agent that can be used as a dietary supplement to promote good health! 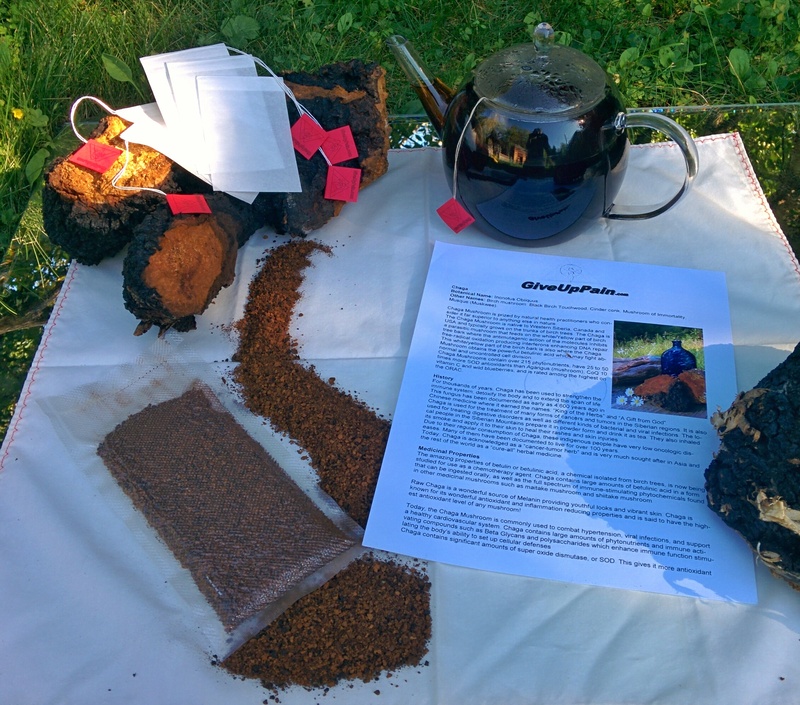 Please visit us at GiveUpPain.com to purchase your KAMINSKA Chaga Tea Kit today! Visit us at GiveUpPain.com to gain valuable insights into the powerful properties of this marvelous anti-oxidant and how it can change your life, from the inside out.